Los Blancos were in total command from start to finish, with Getafe only managing to muster up their first shot of the match in the 69th minute. Gareth Bale was in the mood from the outset, forcing David Soria into a fine save, although he was later pulled back for offside. The Welshman would then set up Dani Carvajal for Real Madrid’s first goal, with the Spaniard cleverly heading over Soria whose punched clearance was weak. Bale would finally have his goal, the fourth year in a row that he has scored in the first league game of the season for Los Merengues, just six minutes into the second half. Marco Asensio won the ball from Djene Dakonam before squaring the ball towards Bale, who obliged with a powerful close-range effort. Real Madrid created a few more chances to widen the gap between them and Getafe. But, the scoreline remained the same as Julen Lopetegui & co. grabbed all three points. Following a solid season opening performance, The Hard Tackle runs the rule over Lopetegui’s men. With Thibaut Courtois on the bench for the season opener and raring to make his debut for Real Madrid, Navas needed an outing to show his credentials to retain the no. 1 slot. Unfortunately for him, crazy as it may sound, his side was in complete control throughout the game. The Costa Rican had just one regulation save to make in the game, although he did impress with his distribution, moving the ball quickly and efficiently. The threat of Courtois looms. 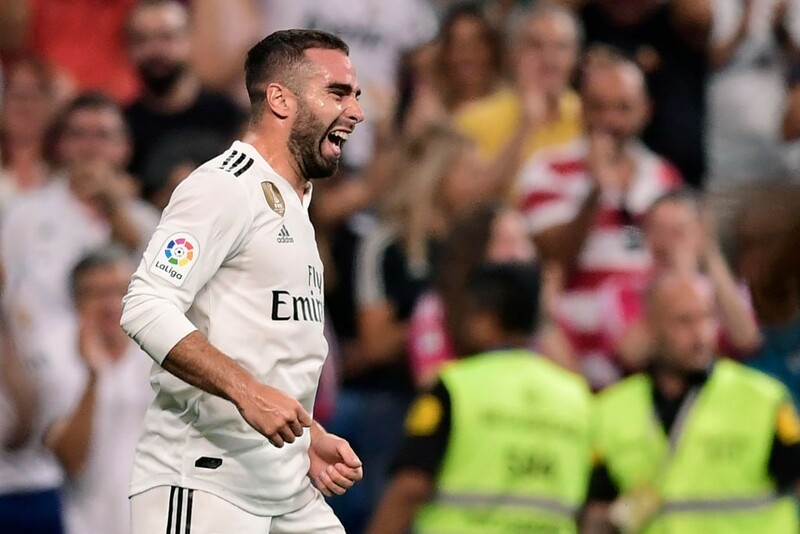 A confidence boosting goal for Carvajal, who has been blowing hot and cold of late. His header was very opportunistic, but also cleverly timed as it looped perfectly over David Soria. Other than the goal, it was a very solid outing by the Spaniard, who was a constant outlet in the final third and was never really troubled at the back. Favoured ahead of a recovering Raphael Varane, who is still not completely match-fit. Nacho read the game well, making several interceptions to cut off the threat posed by the Getafe attack. Produced one of the moments of the game as well, as he made a last-ditch tackle to help preserve the clean sheet for Real Madrid. Excelled exactly where he failed against Atletico Madrid, as he kept the defence organised even with their high line. Alongside Nacho, Ramos absorbed every little chance that Getafe could muster up on the night. The Real Madrid captain was also typically reliable on the ball, distributing with confidence. A solid performance from Marcelo, who grew into the game as the minutes passed by. 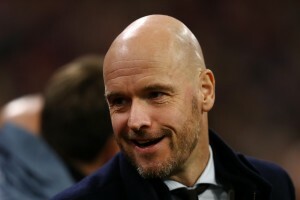 That there was little to no threat on the left side of the Real Madrid defence only boosted his confidence in going forward, and he was one of the creative forces for his side for large parts of the game. In Kroos control throughout the game. The German international ran the show as the deep lying playmaker, in what could be a sign of things to come for the season ahead. Barely put a foot wrong, and when he did make a rare mistake on the night, Nacho duly bailed him out with a spectacular tackle. On the passing front though, a staggering 98.3 per cent success rate just tells the tale. Even more astonishing is the fact that Kroos completed every single pass in the opposition half. Real Madrid will need the 28-year-old in such good form going forward. With Kroos providing the assurance behind him, Ceballos advanced forward regularly, looking to set up the chances around the Getafe box. Tidy with his passing for the most part, the youngster also impressed with his work off the ball as he looked to win back possession early. The worst performer on the night for Real Madrid, Isco is still coming to grips with his role in the side, which is a huge surprise considering how good he was under Lopetegui for Spain. The 26-year-old didn’t do much creatively, although he was solid in the counter-press. Needs to improve drastically, though. With every passing performance, Gareth Bale just keeps on growing into the prospect of becoming the biggest Real Madrid superstar. A constant threat on the night, Bale was a delight with his mazy runs and clever interchange with Marco Asensio. Unlucky to have not found the back of the net in the first half, the Welshman came close with a long-range curler – which was later chalked off as offside – and a diving header which hit the bar. But, while he couldn’t extend his record of scoring the season opening goal for Real Madrid, Bale did finally grab his goal with a fine finish early into the second half. Oddly enough, Benzema didn’t have a single chance of note coming his way. But, he still produced an accomplished performance, as he dropped down to create space for Asensio and Bale, while also playing some smart one-touch passes. A strong start to the season for Asensio, who was the biggest proponent of the trademark Julen Lopetegui counter-press. It was during one such occasion that he won the ball from Djene Dakonam before setting up Bale for the second goal of the match. Must grow into the role of being a regular starter now. Brought on for the non-performing Isco just before the hour mark, Casemiro got a good cameo in. The Brazilian showed no signs of the knock he had sustained against Atletico Madrid, and should be in contention to start next week.